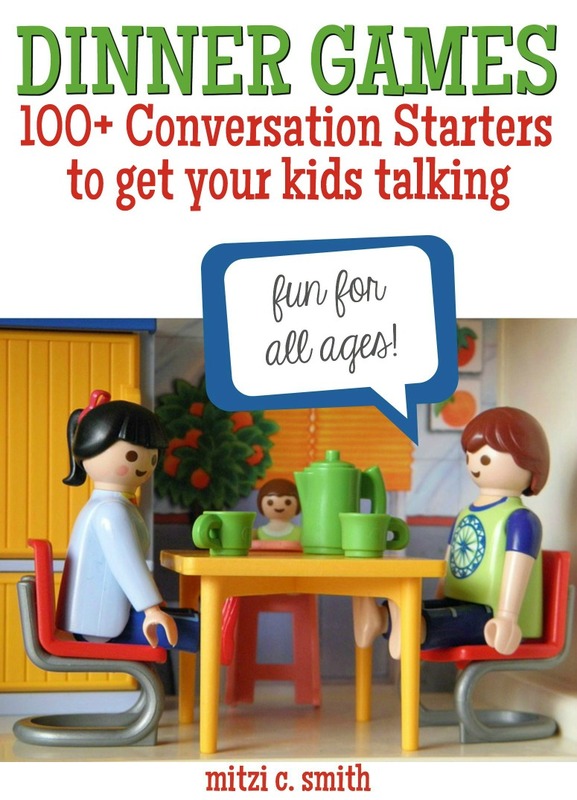 Need help keeping your kids occupied and creative this summer? Take them outside for some fun in the sun! Here are some of the best selling summer toys for 2016. 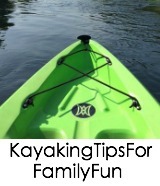 We all know how difficult it can be to keep our kids busy all summer long. And although I’m a huge advocate for boredom–my kids are most creative when they must find something on their own to do–I still like to include a few surprise toys throughout the summer to keep things interesting. Here are a few of my favorite toy picks this summer. 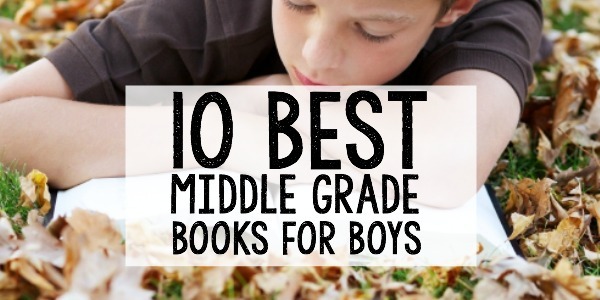 I’ve included a few classics you may have forgotten that all kids should experience, along with some of the hottest summer toys your whole family can enjoy. Here’s a must-have for summer toys! Just inflate, hook up to your garden hose, and enjoy getting wet with some unique sprinkler action. It’s a great way to cool off this summer. Boochie is a blast of fun that keeps the whole family involved. There are throwing challenges and all sorts of ways to toss the bean balls. It’s one of those silly yard games your family will laugh through playing, too. 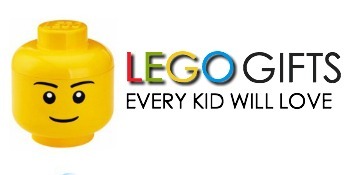 This one is another great game for the whole family. The discs are small enough for very young kids, but fly great so adults love it too. It is easy to assemble, so it’s a perfect game idea for those last minute gatherings with family and friends this summer. Every kid needs a Little Tikes picnic table. It’s a fun way to serve picnics on warm days and a great option when you want to take the kids outside for arts and craft project ideas, too. This ball is a great way to get the kids moving this summer. The ball encourages exercise, coordination, and also strengthens the body. It comes in several color designs and includes a free foot pump, too. This game takes catch to a whole new level. Kids will love to launch the ball–called the Djubi– and watch it soar. 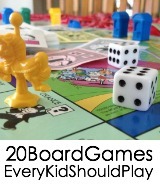 It’s one of those games the whole family will love and keeps kids entertained anytime and anywhere you want to play. This isn’t the swing set I remember from my childhood. How about a playground with an attached trampoline? This outdoor playground also has a sunshade to keep the kids out of the hot sun while they’re swinging from the monkey bars, too. Here’s a classic game of fun I remember playing when we went camping. 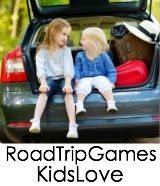 It’s another great one to carry around on road trips when you stop for a stretch, and can be played anytime and anywhere for a little extra family fun. 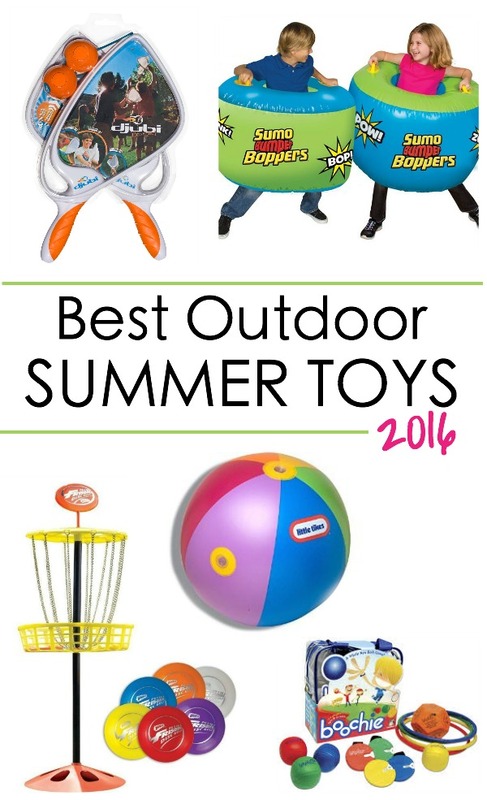 These summer toys would be hit at any outdoor gathering. It’s just like driving bumper cars or having a pillow fight in your own backyard. Here’s a classic outdoor summer toy that never gets old. Just let the kiddos run around in the backyard ‘mowing’ the lawn while blowing bubbles along their path.